Skyfall font here refers to the font used in the poster title of Skyfall, which is the 23rd spy film in the James Bond series. In the film, James Bond’s loyalty to M is tested as a former MI6 operative called Raoul Silver comes back to haunt her. The Skyfall title in the poster was designed using a font very similar to Neutraface No. 2 Text Bold by House Industries, with some erosion effect added. The font is a commercial one and you can purchase the font here. 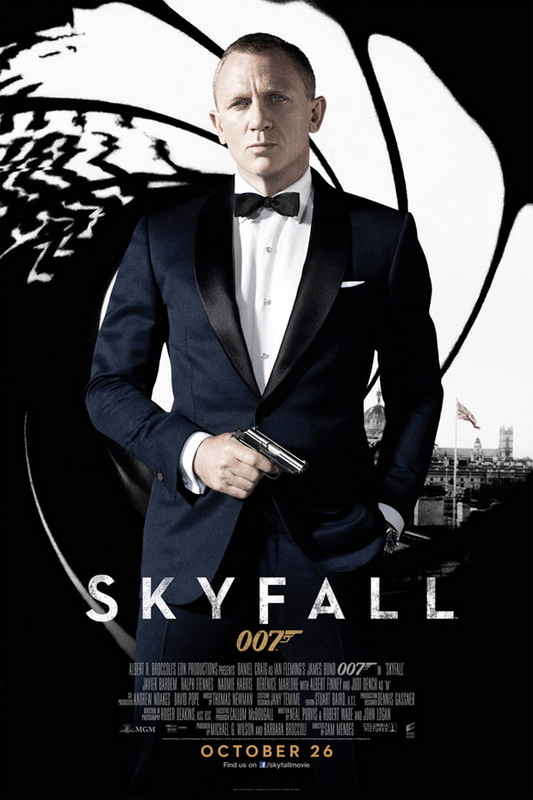 In addition to Skyfall, Neutraface typeface is also used in the following logos, movie posters or album covers etc., including: Foursquare, Girls, Quantum of Solace, Oblivion, Native, Shocked, The Shape of Water, Empty Mansions, The Oranges, Icon for Hire, A Wrinkle in Time, Shake Shack, League of Ireland, House of Wax, The Young Victoria.